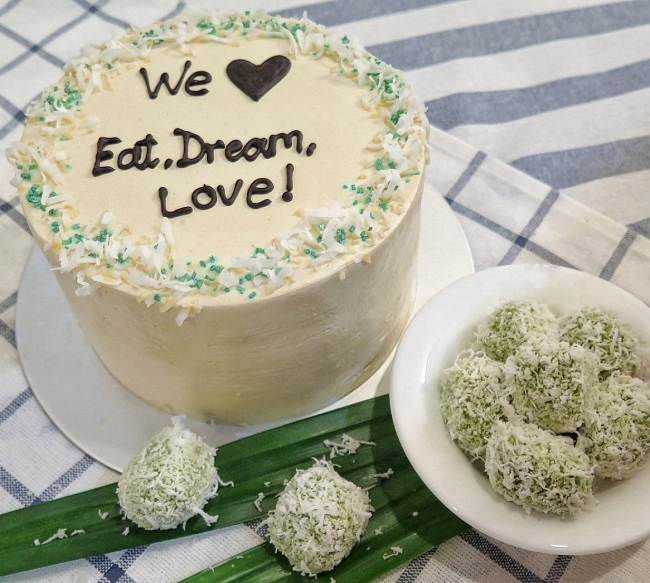 Enter the promo code "eatdreamlove" during cart checkout to enjoy 15% discount off the "Local Flavours" Cakes. Ondeh Ondeh Cake from "In The Brickyard" by Buttertrade ~ My wonderful Weekend starts with a delicious Ondeh Ondeh Cake from Buttertrade. Many Many Thanks to Buttertrade. Buttertrade - An Interesting and Catchy Name! Who is Buttertrade? 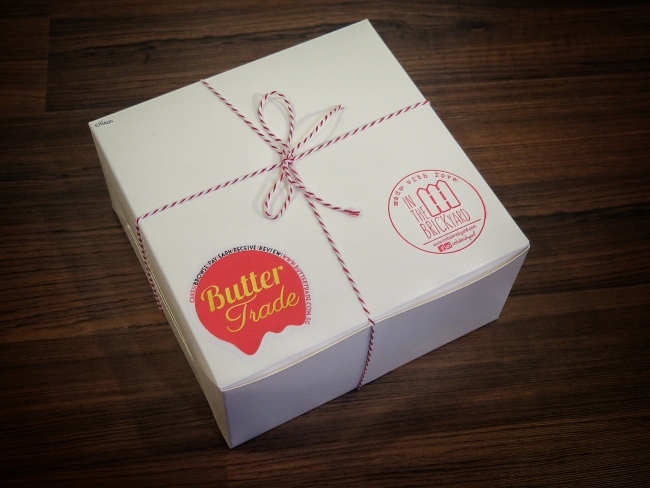 Buttertrade is an online marketplace for cakes from boutique bakeries in Singapore. After you order a cake from Buttertrade, they will liaise with the bakery to hand-make your cake and deliver it right where you want it. You can also self-collect at the bakery too. I always like to try new food. Hence, a lot of time and effort are spent to search for new places. With Buttertrade, it now make it much easier to search for cakes across the boutique bakeries. A great website to keep in mind. Especially Great for people that are organising for corporate parties or birthday parties. The best part is Buttertrade even reward you. You will earn Buttertrade Credits (About 3% of your order cost exclude shipping and tax) when you order from them and you will be able to use these points in your next purchase at Buttertrade. For our Muslim Friends, they also have a category for HALAL cakes. This is so much easier than searching high and low for halal cake shops. Not forgetting our pet lovers. Buttertrade also have a category for your beloved pets. Local Flavours! Our favourite local desserts have transformed into the cake! So CREATIVE! I am delighted to try Ondeh Ondeh Cake from "In The Brickyard". 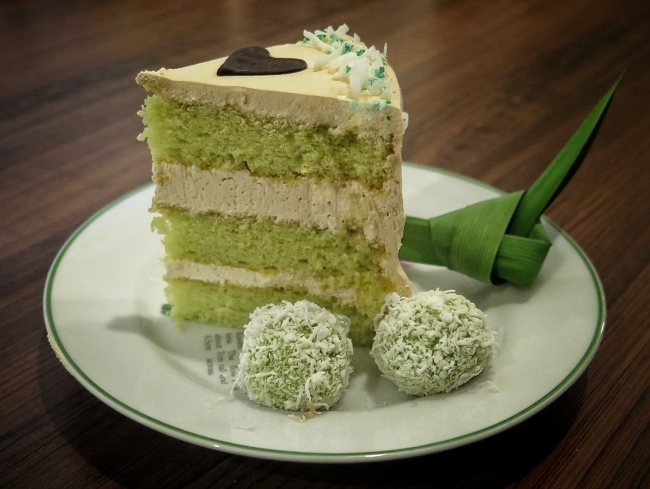 The Ondeh Ondeh Aroma jus burst out when I open the cake box!~ Rich Gula Melaka Creamy Frosting between Moist Fluffy Pandan Cake with Toasted Coconut Flakes. They also have other local flavours like Pulut Hitam Cake and Orh Nee Cake. Pulut Hitam Cake - Light coconut cake with a layer of Pulut Hitam (black glutinous rice porridge) for that extra bite and slathered with rich coconut cream and coconut shreds. Orh Nee Cake - Fluffy sponge cake, infused with chunky yam cream topped with crispy coconut flakes and gingko nuts. Now you can enjoy 15% off all items in "Local Flavours" for purchases made between 1-31 Oct 2016. 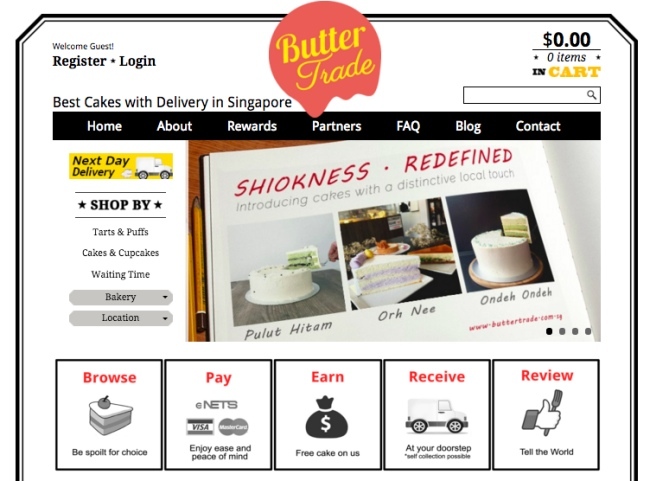 Buttertrade is an online marketplace for cakes from boutique bakeries in Singapore. After you order a cake from Buttertrade, they will liaise with the bakery to hand-make your cake and deliver it right where you want it. You will earn Buttertrade Credits (About 3% of your order cost exclude shipping and tax) when you order from them and you will be able to use these points in your next purchase at Buttertrade. **Note: As long as you make the order in Oct 2016, you will be able to enjoy the promotion. Hence, you can enjoy the promotion when you pre-order in Oct 2016 and deliver the cake in Nov 2016. ** Buttertrade reserves the right of final decision.